Get already-packaged bumper stickers and buttons at Save Oregon's Democracy Online Store. There's no markup (for us) on any item in the store, although we're sure cafepress gets a little out of the deal. Grab a PDF flyer (small) (large). 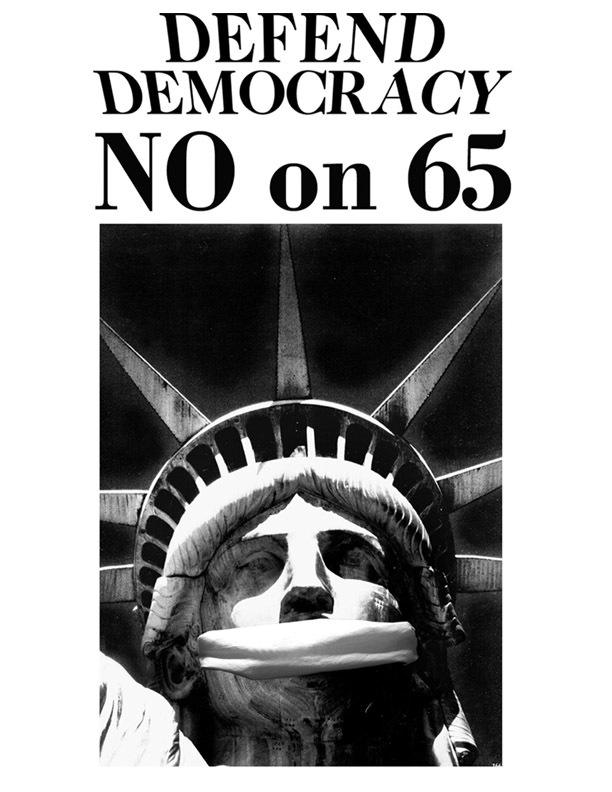 Or print out this Defend Democracy image that will fit on a 8.5x11 letter size page. Depending on your political leanings, you should hook into different campaigns. The campaigns generally revolve around the minor parties, as they are the hardest hit. This issue transcends party politics and affects the very core of Oregon's democracy. Whether you lean left, lean right, or are just independent-thinking, there's a place for you to Save Oregon's Democracy. Some of us like to attend events, others like to make banners out of old bedsheets and suspend them from overpasses. Still some like to write letters to the editor of various newspapers discussing various talking points. A diversity of mechanisms exist. You can help by bringing it up at work, at school, or while in line at the local coffee shop. Some of us like to picket the Oregon Business Council -- the main backers of the measure. To stoke the brainstorming, we've put together a list of Picket Bites below.